The Valletta 2018 Foundation is excited to announce the fifth edition of the Summer Carnival, which will be held between the 25th and 27th of August; with the first two days in St Paul’s Bay and the last day in Marsascala. This was launched by the Minister for Justice, Culture and Local Government Owen Bonnici and the Parliamentary Secretary for Consumer Protection and Valletta 2018 Deo Debattista during a visit to some of the warehouses where participants are in the last preparations for the Summer Carnival. Minister Bonnici stated how the Summer Carnival is increasing in its popularity with this year seeing an increase in the participating dancing companies. This sustains the result in the survey commissioned by Malta Arts Council in which Carnival placed as the second most popular cultural activity. Minister Bonnici recalled the works on the Carnival project, showing the Government’s commitment towards the Carnival tradition while continuing with the plan to strengthen professionalism in the cultural sector, one of the main priorities in this sector. Parliamentary Secretary for Consumer Protection and Valletta 2018 Deo Debattista explained the significance of the Carnival feast in Malta’s cultural calendar. Although historically tied with our Capital, the government promises to infiltrate this into different towns and villages, as is the case with the Summer Carnival. Debattista said that the same will be done during the year when Valletta holds the title of European Capital of Culture. While all eyes will be on our Capital, the ambitious programme which is being prepared promises that other areas in our islands will also be given the spotlight. 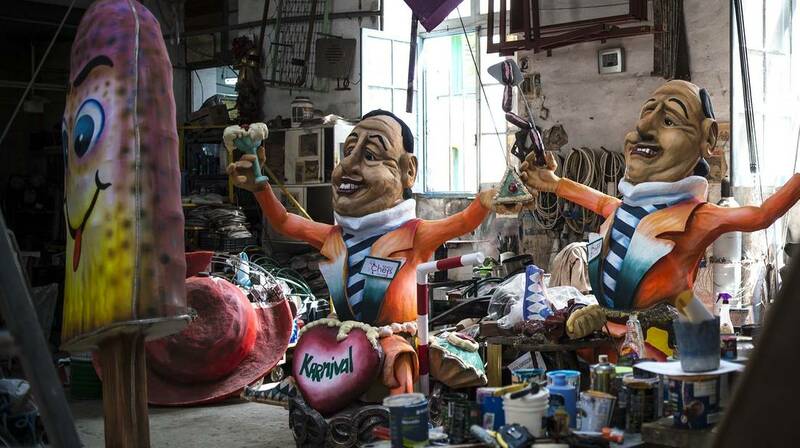 Minister Bonnici and Parliamentary Secretary Debattista thanked all participants for their commitment to keep the Carnival tradition alive not only through their talents in building floats, and dancing but also through traditional activities such as the ‘ġostra’. The Summer Carnival in St Paul’s Bay will open on Friday 25th August at 6.30pm next to “il-Gillieru” (Church Street) with the traditional ‘ġostra’, while on Saturday 26th August again at 6.30pm, another ‘ġostra’ will be organised in the vicinities of Santana Hotel. On both dates a parade will follow. On Sunday 27th August at 7pm the Carnival in Marsascala will start off with a parade in front of the Local Council along the promenade. This year’s Summer Carnival will see the participation of 11 floats and 10 dance companies as well as the Marsascala Band and SkolaSajf students. The Summer Carnival is organised by the Malta Arts Council in collaboration with Valletta 2018 Foundation, the Malta Tourism Authority, St Paul’s Bay Local Council and Marsascala’s Local Council.